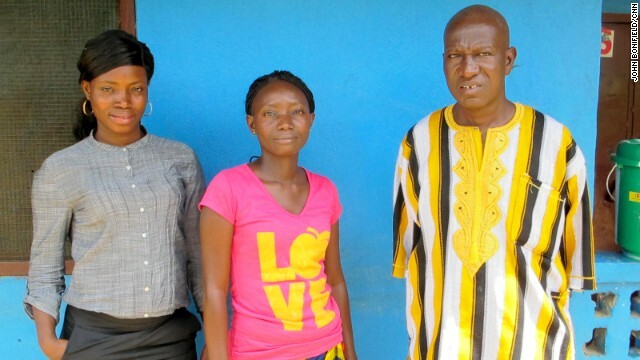 Fetu Kekula, 22, had a house full of family members infected with ebola. Too far from a hospital, the young nurse-in-training did not run for safety, nor did she just sit in a corner and pray for their recovery. She rolled up her sleeps, and proceeded to care for her family members, using a technique she created: covering her body in trashbags. Going from sister, to cousin, then mom to dad, the 22-year old cleaned copious amounts of waste, while also ensuring each one was hydrated enough to replace the fluids that were steadily being flushed out of their bodies. There was a casualty: her cousin did not make it. But her efforts were not in vain. Fetu saved her mother, father, and sister. And her technique is now being taught throughout Liberia and in other regions throughout Western Africa. Because life was saved, the world is talking about this courageous young woman who risked her own life to save three. What is not covered as much is that there are millions of Fetu’s out there that refuse to walk away from a loved one as their body fights against them. And while we hear much about the gruesome details of ebola–causing a wave of more panic than genuine concern, I want to pause and just acknowledge my brothers and sisters who stay side by side with death, even if the only thing they can do is make another a little more comfortable as they are dying. Know that for every person infected by this deadly virus, there is a Fetu working tirelessly to keep a loved one, friend, or even just a sick passerby, from suffering alone. This is a complete departure from what our culture tells us to employ. “Survival of the fittest” dictates that one fends for themselves, and leave those weak behind. I am grateful that a region is showing us that no matter how the world characterizes them, they are not ill because they are filthy, unsanitary, or even due to poverty (even if that is a major factor why the disease is not as easily contained). Most are dying because of their compassion for humanity. We all could use a little of that. Thank you, Fetu and others, for staring death and fighting it. Dear God, please protect the caregivers, who knowingly or unknowingly came across this illness, only because they refused to just live for themselves. Heal them and their families. In Jesus name–who also gave His life for others. Amen. This entry was posted in Thursdays with Ify and tagged africa, compassion, ebola, Fetu Kekula, Liberia, nurse, saved family. Bookmark the permalink. this is a great story and you’re right.. there is more panic than concern going on right now. thanks for sharing this. SIS… THIS… AMAZING!! That prayer at the end brought tears to my eyes. I heard about this story but it was a brief blip on the radar (of course, smh). Thank you for writing this you BOLD and FABULOUS woman you!!!!!!!!!!!!!!!!!!!!!!!!!!!!!!!!! Amen! The exact sentiments were on my mind this morning! Great article.